To think that The Mr. and I will officially be having a kindergartner this school year just seems surreal to me. Because it felt like it was just yesterday when we had him...and F just turned 5 a couple of months ago! but i guess time just really flies! One of the things that I thought we need to have when somebody in Home For4 Sweet Home is in school is a command center. I am a very forgetful person and I don't want to be a bad mom because I missed any of my child's schoolwork deadline, meetings, etc. That is on top of bill paying, blogging, mail sorting...whew! That is why, I thought we NEED to have a command center. 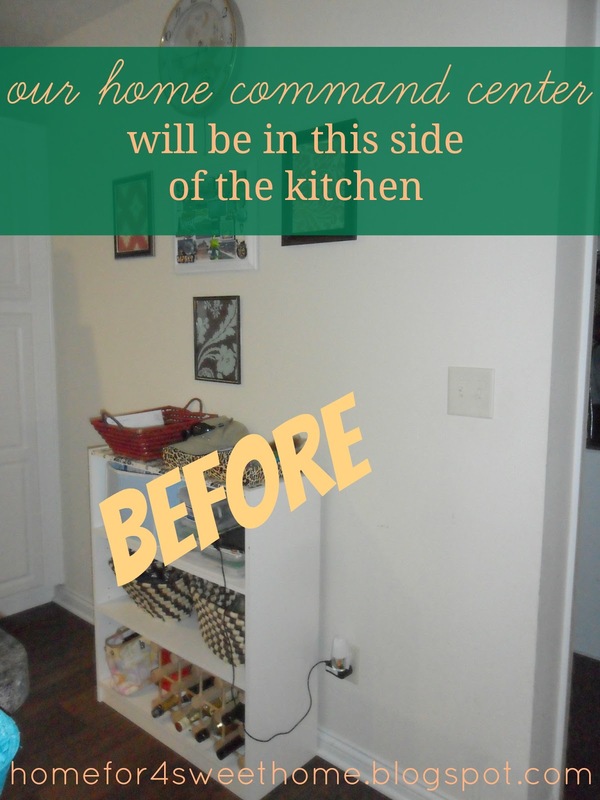 I chose a small area in our kitchen to be our command center - very accessible. So here is the side of our kitchen that I chose to be our home command center. 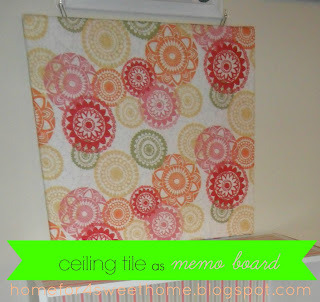 One of the things that I was able to finish to be part of our command center is this ceiling tile as memo board. I am still working on finishing this project hopefully before school starts. What about you? Are you forgetful like me too? Do you have also have a command center like the one I am still working on? Please share photo or url of the post from your blog. Would appreciate some inspiration. I used to have a command center in our house but with a toddler who runs everywhere, grabs everything, breaks everything she touch, no space for me anymore. I guess I will just locked myself in my bathroom and that would be a perfect command center for me. Haha! oh i hope my daughter will not ruin my yet to be finished command center anne! What a beautiful command center, well what you've done so far. It seems like the perfect space to set it up, bright and spacious. I hope it does its job and keeps you on top of things!